I finally got my last look from Kansas City Fashion Week up on the blog today! I know it's been like two weeks since the show, but I just loved this outfit and wanted to give you all the details...better late than never right!?! ! Before the show I headed to the ULTA Media Party and sipped on gorgeous cocktails and snacked on some of the best appetizers EVER! It was such a fun party before the show! I knew it would be an action packed night and a jumpsuit is the perfect trendy piece to wear and still feel confident and comfortable. *Add a Jacket - A sleek blazer or leather jacket can really bring the whole look together and make you feel more confident. I don't like my arms so I always like to add jackets to my looks. *Choose Black - Black is a classic and when I first tried the jumpsuit trend I went with a color I knew would be versatile and functional in my existing wardrobe. I might venture into a patterned jumpsuit later in the summer. *Loose fitting Fabrics - Choose a jumpsuit with a more forgiving fabrication. A tight fitting jumpsuit makes you feel more constricted and less comfortable, instead go with a looser fitting flowy fabric. This will be much more appealing when wearing it in the warmer summer months as well. *Dress it up! 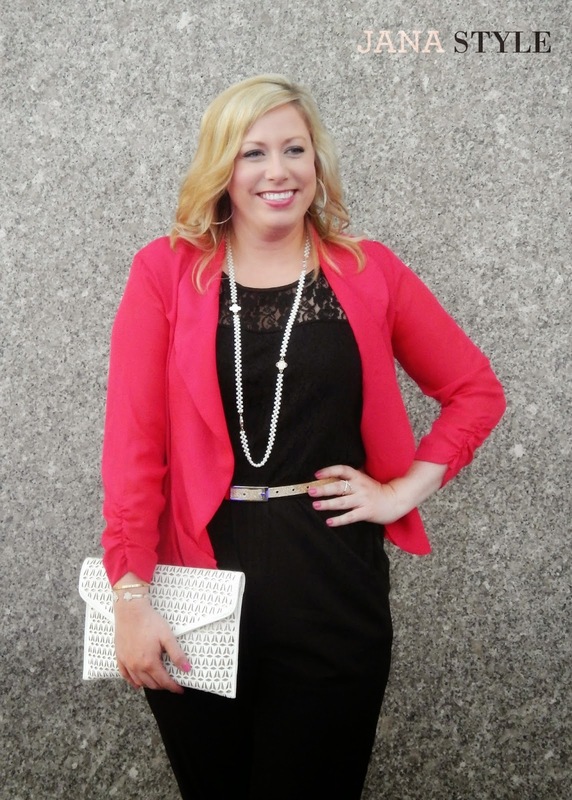 Add accessories and a pretty belt to your jumpsuit like I did for fashion week! It can make a huge difference how you feel about the look once you add accessories. 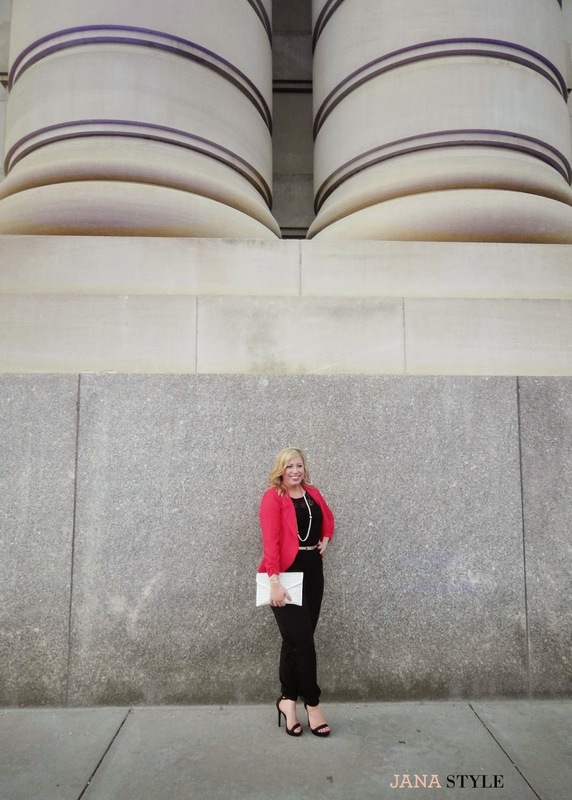 *It's all about that length - The jumpsuit I wore to fashion week had a fitted leg, which for me was important because I am short, so finding a looser wide legged jumpsuit in a short enough length without getting it altered as been a challenge for me. In general, a good rule to follow is to allow the pant length to reach your ankles. If the legs of your jumpsuit are a wide legged version make sure the bottom just barely touches the ground but doesn't make it hard for you to walk. I hope these tips help you find the perfect jumpsuit! Don't be afraid to give this trend a try, it really can be a flattering look on almost any body shape! If you have more questions for wearing jumpsuits let me know, I'd love to help! Thank You to Ulta and Kansas City Fashion Week for the AMAZING goodie bags and for another perfect season! Gorgeous! Love that jumpsuit and pop of pink! Thanks Emily! Black and Pink are my favs! :) Hope to see you soon!